From what we heard, the entire Kanawa island is being rented by a Spanish guy who's also the owner of Kanawa Island Resort - the only resort and only man-made arrangement on the tiny island. It's a great spot for snorkeling, reading and connecting with nature and yourself. You can walk around the island in less than an hour and it's so idyllic. The resort hosts 18 bungalows and despite the low season we booked one in advance. Better safe than sorry and as transportation from Labuan Bajo is included when you book a bungalow this needs to be arranged. The bungalows are nothing fancy and simply equipped but when placed in this nature's paradise it has everything you need. Book at the Kanawa resort office on Labuan Bajo's main road, close to the harbor. Ask a local, they will know. As mentioned, Kanawa Resort offers complimentary boat transfer both ways but the boat only leaves once a day in the morning. Alternatively you can hire a local boat to take you there, sailing is approximately 1 hour depending much on wind & weather. We finished our 2 days sailing tour in Komodo National Park on Kanawa island so our captain made a last stop here before taking our new Polish friends (the two other travelers taking part in our sailing trip) back to Labuan Bajo. 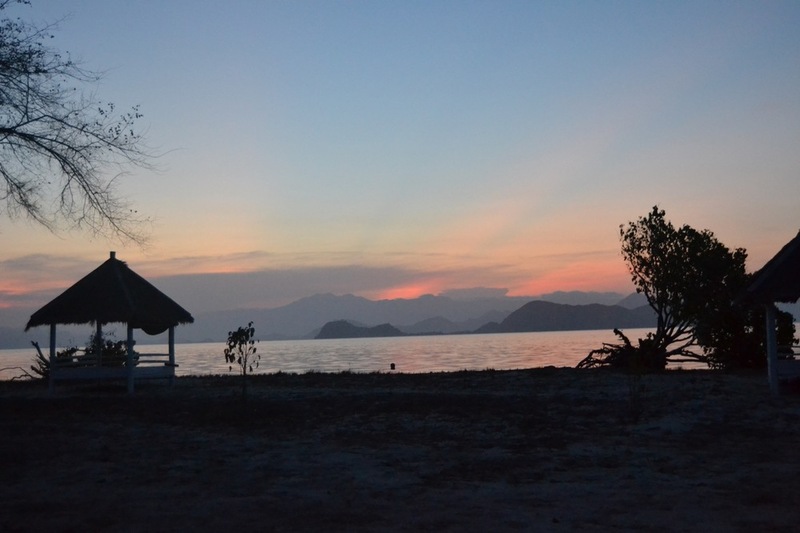 Read about our sailing and exploration of Komodo National Park here. We paid: 550.000 IDR/night with breakfast included for a Bungalow at the only accommodation option on the island and we spent two nights here. Price for these exclusive bungalows is very reasonable but remember that the only place to eat & drink is at the Kanawa Resort and in total we spent around 2.5 million IDR for 2 days. Bring snacks from Labuan Bajo if possible for in between meals. Besides us, we saw 4-5 other couples and one single person during our visit and it really feels very deserted which is awsome. If you go by the Resort's complimentary transportation you need at least 2 nights here to fully enjoy but I probably wouldn't stay more than 3 nights. You can also visit the island and resort on a day-trip, we saw a couple of people doing that. But I'd be guttered to miss having a romantic dinner under the amazing "Tree of Light" as we named it. I'm so inspired, definitely getting something similar in my garden or terrace one day. Below is our little video edit from our sailing tour around Komodo National Park. The last part of the video is from our stay at Kanawa Island. Enjoy, lovely travelers & readers!